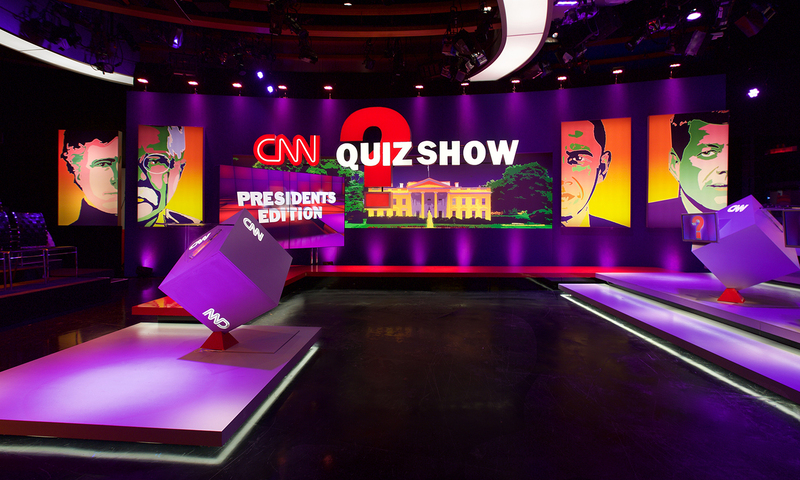 It’s not easy to get broadcast journalists to admit — on-air — that they do not know the answer to a question. 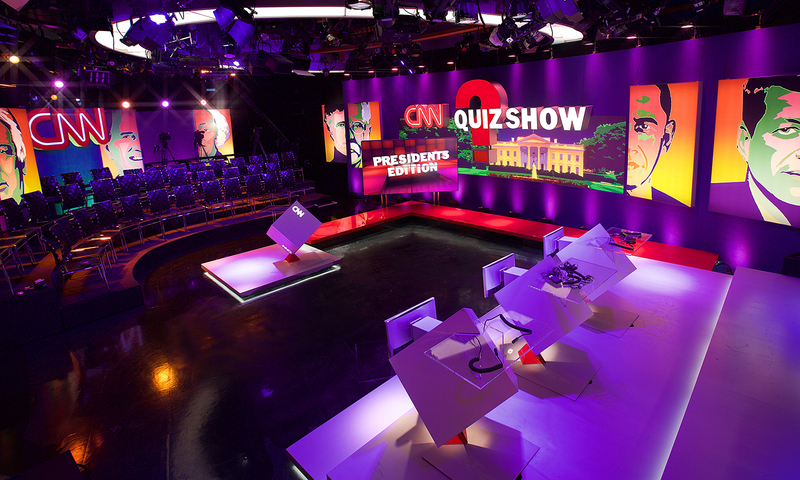 But the news anchors at CNN grabbed the chance to have fun while representing their favorite charities on the CNN Quiz Show: Presidential Edition. 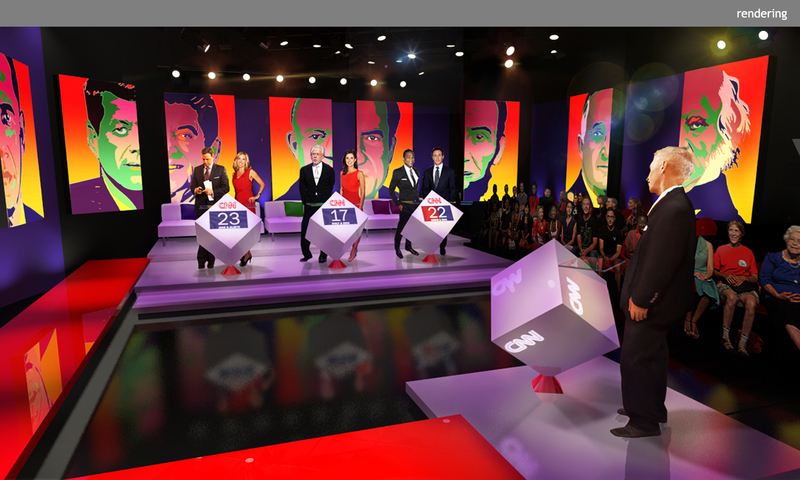 This lively spirit inspired the set where Anderson Cooper challenged six anchor-team contestants to put their knowledge on the line in a colorful arena that featured an adaptation of the network’s iconic cubes as podiums. 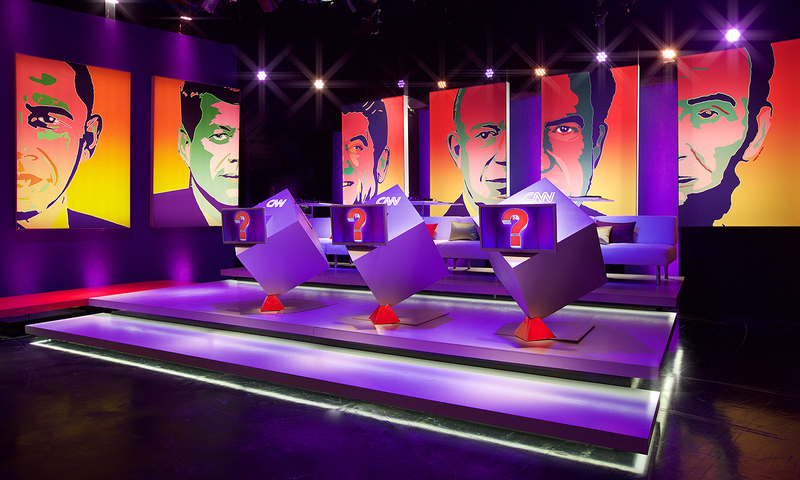 Warhol-inspired presidential portraits surrounding the studio allowed the show to shoot 360°. 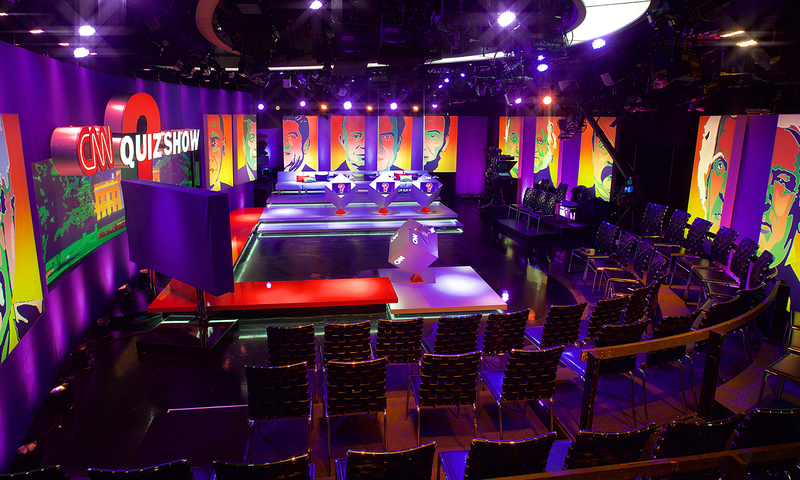 The program aired February 16 from CNN’s New York studios, with a live and loud studio audience.